We take pride in the fact that we never charge a set up fee, ever! Your driver's are able to update the status of their ride, and you can sit back and monitor their activity in your portal. 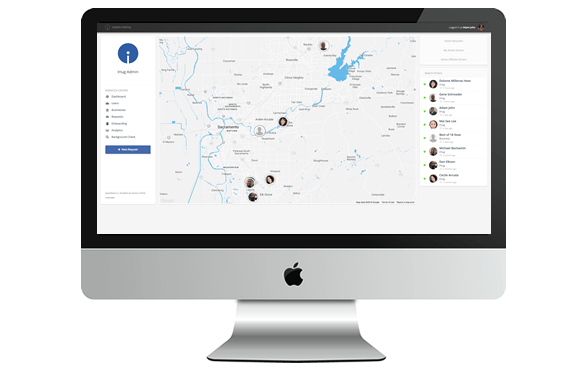 On every ride you do, you're able to see live GPS tracking, timestamps of arrivals, pick ups, wait times, drop offs and more. That's right! You can invite your existing customers to access your branded portal to book rides anytime. Turn your business into a Travelocity, Priceline, Expedia, Trivago or better to book wheelchair rides! No lengthy credit card processing application. When you create your business profile, we instantly create a Stripe Connect Account for you so you can process customers credit or debit cards, even bank accounts for consumer or corporate! No authorization forms needed with Stripe. That's right! When you or your customers book rides, Google auto calculates base rate, mileage, and even hourly wait time all at once so you can quote instantly! Anytime a new payment method is used, it securely auto-saves, only allowing you to view the last 4 digits of their card or bank account in the future. This saves you thousands of hours from having to ask existing customers for their card or bank details. It also provides a better customer experience! That's right! On every request, both you and your customer get an email receipt of the booking. Our software will help you address and improve ambulance transportation. 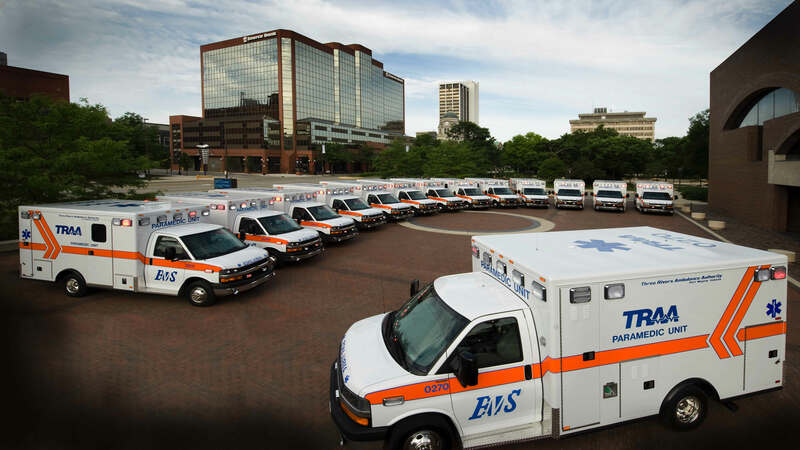 Our tiered plans allow you to run more efficiently for any size ambulance company. Why should I choose your software over others? We are confident and passionate about our software! Here are three main reasons you should choose iHug Software: (1) Our software is continuously developed on technology that other popular brands use such as, Tesla, NASA, Uber, Paypal, Netflix and AirBnb. (2) We have studied the ambulance industry and have built technology specifically designed to help grow your business, removing the complexity of other softwares. (3) It is very user-friendly to both your business and the customer. I currently have software, can you beat their prices? Absolutely. If you can show us your monthly cost for software, we will beat the price by 5%. We also have regular promotions so please contact us for more information. What does your software include? Our turn-key packages include your very own business portal where you can book rides, take payments, dispatch requests to drivers, keep a record of all your rides and more. It also comes with an easy solution for your customers to book rides and is also linked real-time with the driver app to become on-demand. The software allows you to charge via all major credit and debit cards. We use a payment system called Stripe, which is used by popular brands such as, Amazon, Lyft, Target, Postmates, Doordash, Facebook and more. What if someone tries to make payment with insufficient funds? The radar machine learning engine embedded in our software scans every payment to help identify and prevent fraud. Even if a card has insufficient creating less headache for you. Does your software send receipts to my customers? Absolutely. Every time you book a new ride, the receipt will automatically be sent to their email address and your business will be black carbon copied for your records. This is where it gets exciting. You can track your drivers live on a map, see time and date stamps when they arrive, are in progress and have completed the journey. All you do is send the driver the ride and they handle the rest through the driver app! You sure can! We understand every business is different so we have made it very user friendly. You are able to set your base fee for one way or round trips, mileage fees and even an hourly rate if you choose. How do I let my driver’s know certain information about a ride? You can let your driver know any relevant information through the software. Example, if the customer has two items of luggage, or their flight number is FCY5, you just input it when booking and it will be sent to their app. No more stress! Can my customers book rides on their own? Why, yes they can. Already have a customer list? All you need to do is invite them via their email and they can start booking rides in your business portal. They select the service type, date and time, make payment and then you can dispatch the driver on-demand or through a schedule. We offer chat support and also have fun tutorial videos to help you get set up. It is very user friendly. Can I send a ride to an affiliate company? You sure can. Just click on the affiliate driver in the portal and off they go! Please be sure when setting up pay rates to drivers, they are set to more than compensate them. Can I pay my drivers through the software? Yes, it is up to you! You have the option to pay them a $ amount at the end of the ride, or if you prefer to keep the money and pay them an hourly wage later on, you can do that too. It's all up to you!